Celebrating our Communities on Mayo Day 4th - 6th May! Mayo Day, the day dedicated to the celebration of the culture, vibrant communities and unquenchable spirit of Co Mayo, returns for its fifth year on Saturday 4th May 2019. Mayo Day and the 'Big Hello' Community Weekend are about connecting with neighbours and friends, strengthening relationships that are already established, opening new lines of communication to one another and fostering inclusivity for everyone. New Dawn Diocesan Magazine available! The Spring Edition of the New Dawn Diocesan Magazine is available at the back of the Church. Cost is just €4 and can be dropped into the offertory baskets. Mothers Prayers Annual National Weekend! Mothers Prayers Annual National Weekend in Knock on 22nd - 24th Mar 2019 in St. John's Rest & Care Centre, Knock. Enquiries to (087) 618 4110 or (091) 771 009. All welcome. Season of Lent in Islandeady/Glenisland During the Season of Lent in Islandeady/Glenisland there will be Mass each Wednesday at 7pm in Glenisland & 8pm in Islandeady. Every Friday there will be a Lay - Led Stations of the Cross starting this Friday at 7pm in Glenisland & 8pm in Islandeady. "The faithful are to be encouraged to participate in an ever more intense & fruitful way in the Lenten Liturgy & in penitential celebrations" - Pope Francis. All Children, Parents, Grandparents and all our Parishioners are encouraged & WELCOME any night to prayer, reflection & stillness during Lent in Glenisland & Islandeady. Rambling House session continues! Rambling House session continues every Wed in the Comm Centre from 7:30 - 9:30pm. The Parish Mass Diary 2019 is open! The Parish Mass Diary is open for Mass Intentions & Weddings for 2019. Please note, when booking anniversary masses for Mon-Fri evenings in 2019, evening masses will now be held at 7pm in Glenisland & 8pm in Islandeady. These times will apply for the First Friday Vigil masses also. Got a story we should know about? Have an event coming up you want to list in the Community Datebook? 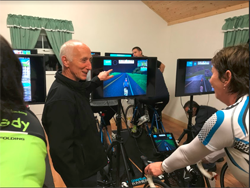 The islandeady cycling club, based at their clubhouse in Jack's old cottage Islandeady, are running a 6 weeks indoor cycling bike fitness and skills training course on Wednesday 19th september for 6 weeks every Wednesday evening and a second beginners class on Friday september 21st again for six weeks. 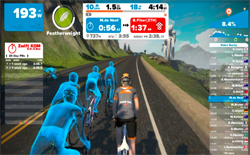 Islandeady CC are fortunate to have a 12 bike specialized indoor cycling equipment, which runs the Zwift training system that allows individualized training programs based on your current bike fitness, so that each session is tailored to your specific ability and fitness levels making this training course ideal for all abilities and age groups. 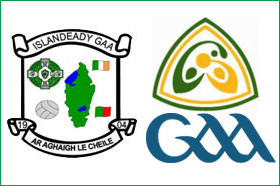 The Islandeady GAA Lotto draw for €4,650 was held on 10th Mar 2019 in the Key West. There was no winner. The numbers drawn were 17, 22, 23 & 30. The winner of €40 was Jarlath Padden. Winners of €30 were Kieran Munnelly, Seamus Connor, Derek Glynn. The next draw will be in The Key West this Sunday 10th March 2019 & the jackpot will be €4,700. Islandeady First Confessions this Wednesday! Please keep the First Holy Communion Children from the 4 primary schools in your prayers as they prepare for their First Confessions this Wed at 7:30pm in Islandeady Church. Self Care to Wellness Morning Programme! Self Care to Wellness Morning Programme starting in Westport Primary Care Centre on Tues 9th April. This is a 6 week programme for 2.5 hours weekly. Learn new skills to manage your health condition on a day to day basis. Cost of programme is €20 & book early to hold your place. Contact Jackie Lynott on 087 718 5615 or 094 90 34980..
Mayo Stroke Support Group! Mayo Stroke Support Group will hold its next meeting this Thurs 28th Mar from 11:30am – 1pm in the Newman Institute, Cathedral Grounds, Ballina. Admission is free. All welcome. Pilates/Yoga Classes! Pilates/Yoga Classes starting on Friday morning March 8th at 10:45am in the Community Centre & will run for 6 weeks. 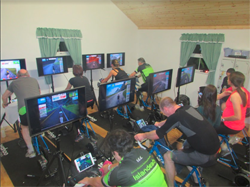 €50 for the 6 weeks & open to men & women, young & no so young! Annual diocesan pilgrimage to Lourdes! The Annual diocesan pilgrimage to Lourdes led by Archbishop Michael Neary will depart KNOCK Airport on 19 July 2019 for 5 nights. For more info contact Sheila at (093) 24439 or (086) 866 4633. Islandeady Community Council Easter Newsletter! 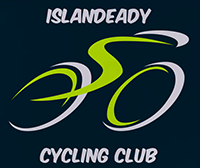 Islandeady Community Council is hoping to have an Easter Newsletter this year, So if you are representing a Group, Club, School, or Community area, please get your News and Upcoming Events in to Patricia in the Community Centre, Email: islandeadynewsletter@gmail.com ASAP or Before Monday 8th April 2019. Islandeady Foroige! Islandeady Foroige meets every Friday Night in the Community Centre from 8:30pm - 10pm. Parish RIP's If parishioners know of people who have recently died belonging to themselves or neighbours or with any Islandeady-Glenisland parish connections, please let Fr. Chris or Liam (newsletter) know so they can be included in RIP of newsletter and prayed for/remembered at mass.